Winchester, Va., January 19, 2010 – Designed specifically to meet decking contractor demand for increased ease and speed of assembly, the new Trex® Hideaway® Universal Hidden Fastener is approximately 40 percent stronger than traditional stainless steel fasteners and retails for half the price. This extension to the popular Trex Hideaway Hidden Fastening System features a stainless steel screw already set in the fastener for increased durability and easier installation – even for contractors who do not have prior knowledge of the product. Offering a clean surface appearance, the Universal Hidden Fastener is a ¼-inch self-gapping connector clip that may be installed from above the framework – rather than from underneath the actual deck. Homeowners will benefit from the affordability of the Universal Hidden Fastener, as it boasts the lowest installed cost in the marketplace. In addition, consumer demand remains high for deck products that are free of visible nails and screws – particularly among homeowners with children and pets. The Trex Universal Hidden Fastener comes in 50- and 500-square-foot coverage options, and is currently available for shipment. For more information, visit www.trex.com. Trex Company is the nation’s largest manufacturer of wood-alternative decking, railing and fencing, with nearly 20 years of product experience. Built on “green” principles and values, Trex outdoor living products offer significant design flexibility with fewer ongoing maintenance requirements than wood, as well as a truly environmentally responsible choice. In addition, Trex distributes ultra-low maintenance PVC decking under the trademark Trex Escapes® and PVC trim under the trademark TrexTrim™. For more information, visit the company’s Web site www.trex.com. 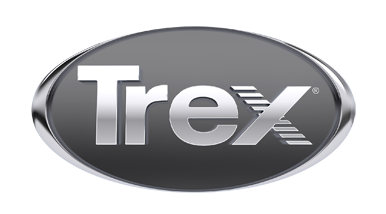 Trex®, Trex Hideaway®, Trex Escapes® and TrexTrim™ are trademarks of Trex Company, Inc., Winchester, Va.